In my last article, I talked about a number of ways to get short-term customers to become long-term clients. The difficulty is attracting the attention of your niche audience in the first place. If you haven’t been paying enough attention to the visual aspects of your marketing, I want to review a few essentials that could help get you even more traffic, and potential customers. Supporting Images Everywhere: These days, a webpage or blog post doesn’t really look complete without a supporting image to give the visitor to that page a quick glance at what the content will be about. For example , a good friend of mine studying journalism share with me the 100-70-50-30-10 rule where 100% of readers will look at the headlines, and the pictures based on what they see, 70% of them will read the first paragraph of the article, 50% the second, 30% the third, and 10% the fourth. So you need to grab their attention as best you can right from the outset using a visual matching with the message you are trying to deliver. The same is true of digital content. If you’ve ever seen an image and/or headline that made you click over to another page, you’ll know what I mean. In fact, the entire trend of what is termed curated content is based on this principle. Curated Content: Content curation is all about sorting through large amounts of niche-related content on the web and presenting the best posts in a meaningful and organized way. By curating content, you are offering readers more of what they are looking for, from top sites, quickly and easily. Some sites will let you curate headlines and images, and share them on your social networks as well. Sharing on Social Media Almost all of the main social networks allow images. It’s just a case of which networks make the images more prominent that others. Pinterest, for example, is dominated by images (or pins) that are pinned to a virtual pin board. Statistics show that the audience is around 75% female and 50% have bought something they saw on a board, at an average spend of around $45. If you’re looking to tap into this consumer demographic, start gathering your images. Facebook encourage images; in fact, you must have an image to participate in their ad network. Google+ and Tumblr also allow for attractive images. Twitter has recently started permitting them as well. Don’t forget Snapchat and Instagram. Power Point Presentations: Turn your Power Point presentations into shareable decks, jpgs and videos, all in minutes, with the save as feature of your program. Upload your decks to SlideShare.net, now owned by LinkedIn, and see how it can boost your traffic. Use the share buttons to spread the word, and the embed code to show the slideshow at your own site or blog. Videos YouTube is the #3 website in the world. Video is a golden marketing opportunity. Camera shy? Save your decks as videos and upload them to YouTube. Then use the embed code to show the videos on your site without having to worry about them taking up large amounts of storage space. I will discuss video in more detail in my next post. Add visuals to your digital marketing mix and see what a difference they can make to your traffic and profits. Until next time. Before I go, just a quick reminder! 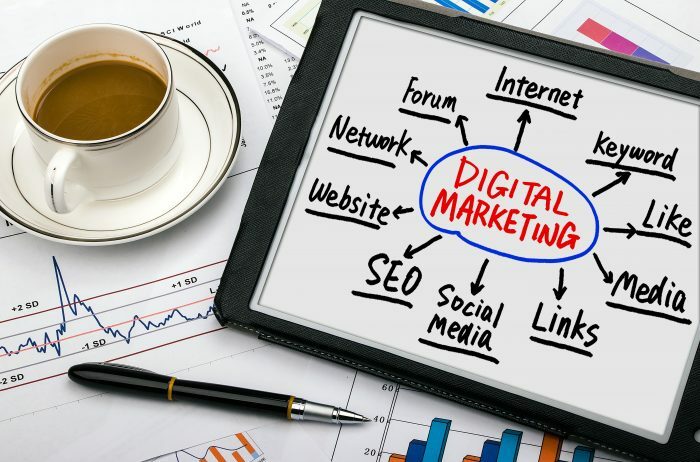 Don't forget that we are here to help for the integration of all those digital marketing tasks if you do not have the expertise on digital marketing especially if you are sole trader, an SME or if you are simply too busy to run your business with no time to look at implementing the right tools or processes for digital marketing to help develop your brand awareness online and increase your sales. On my next post, I will be sharing a few tips with you about how using videos could add some values in your business.